Walden, a game, is an exploratory, open world narrative about the life of American writer and philosopher Henry David Thoreau who lived a life of simplicity in nature at Walden Pond in 1845. Supported by grants from the NEA and NEH, and by programs like Sundance New Frontiers Storytelling Lab, Walden, a game is an ambitious independent game that strives to break ground in the field of expressive play. Designer Tracy Fullerton conceived of the idea on a visit to Walden Pond, and brought together a team of artists and developers at the USC Game Innovation Lab to realize her vision of an interactive version of Thoreau’s experiment in living. The game is the product of nearly a decade of work, a painstakingly crafted translation of Thoreau’s ideas and environment, an interactive translation of the classic American work set in a faithful reproduction of its historical and natural contexts. Explore Walden Pond circa 1845 through one in-game year, with dynamically changing seasons, wildlife and gameplay challenges. Enjoy the summer, survive the winter, welcome the spring. Six hours of narrative play – Experience the story of Henry Thoreau’s experiment at Walden over six hours of play. Interact with historical characters and situations while living your own experiment. Beautiful reflective experience – Play deliberately and reveal a world of hidden wonders and small beauties that are unique to the choices you make about how to spend your time at Walden. From the team that created the award-winning art game The Night Journey, comes a new world of reflective play. Game designer Tracy Fullerton leads a team from the USC Game Innovation Lab in the creation of this expansive, open-world experience. First person simulation of the classic American work Walden, or Life in the Woods, the game challenges players to survive over the course of a year in the woods of Walden Pond, while also finding inspiration in nature and attending to the tasks of a life well lived. Featuring Emile Hirsch (Into the Wild) as the voice of Henry David Thoreau. Walden will be available on PC, Mac, PS4, Xbox. Tracy Fullerton, M.F.A., is a game designer, educator and author with twenty-five years of professional experience. 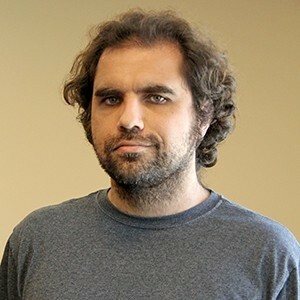 An award winning composer and sound designer, Michael is currently an associate professor at Berklee College of music, of which he is an alumnus, and where he has led the development of their video game scoring curriculum. Doctor of Philosophy (Ph.D.) focused in Media Arts and Practice from University of Southern California. I am a game designer / engineer studying at the University Of Southern California’s Interactive Media/Games graduate program. 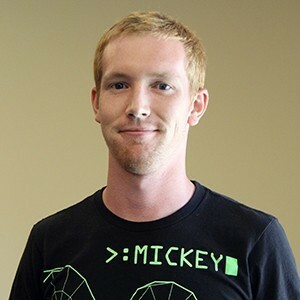 A game designer and programmer who has recently graduated from the USC Interactive Media & Games division, Logan has been a graduate research assistant in the Game Innovation Lab® for the past three years focusing on Walden, a game. Lucas Peterson is the Game Lab Artist at the USC Game Innovation Lab. A game designer and programmer for Walden, a game, Alex is an MFA student in Interactive Media focused on expressive game design.